Kagemusha: Shadow Warrior - Kampai! : Kampai! Distillery: Yatsushika Sake Brewery Co, Ltd.
Kagemusha is a classic imo in its earthy nose – you can smell that fresh dirt off the potatoes. The strangest part is that it’s also gives the vague sense of fresh baked chocolate chip cookies. A vaguely sweet yet herby palate – as in fresh herbs, not as in Chinese medicine – gives way to a buttery mouth feel. The finish comes with a cinnamon-burn and a lingering taste as if you’ve just finished a warm cookie. 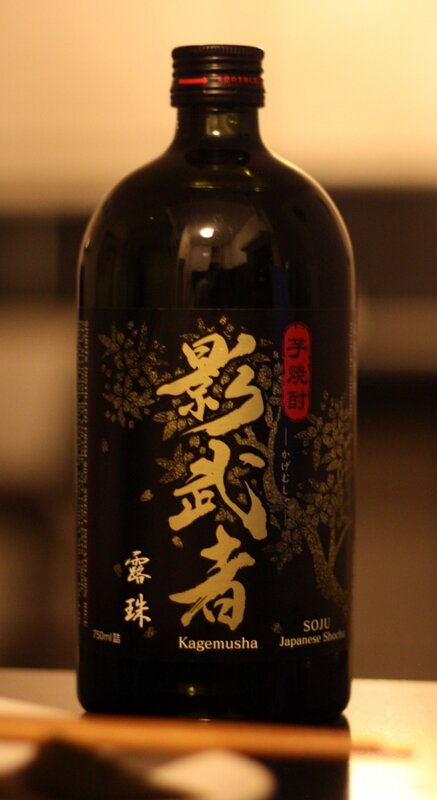 I have no idea why this shochu is evoking baked goods, but it could be a worse sensation. Believe me. Kagemusha is ultimately a very balanced imo shochu. It lacks the kick in the head full flavor of Kaikouzu, yet is holds its own as a nice choice. The balance allows for a pleasant experience without the robustness of some of the “bigger” imos. The cookie, butter, and cinnamon notes are an unexpected treat – and are probably lost if you drink this on the rocks. 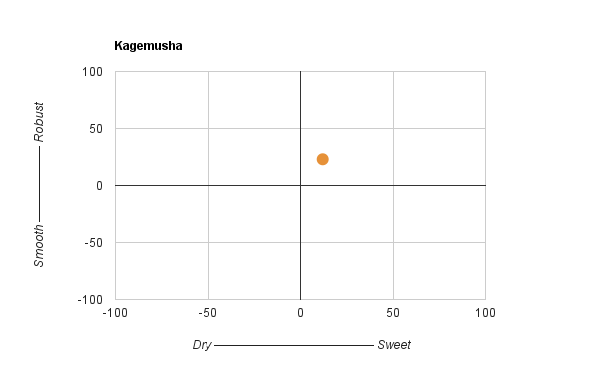 Hi, do you happen to know who imports or distributes the Kagemusha? Kagemusha is imported and distributed by JFC International, at least in NY and CA. Not sure about distribution in other parts of the US. I agree you might lose the cookie, butter and cinnamon notes on the rocks but I found ice let’s a molasses and nuttiness come through. Almost like the nutty umami of towari (maybe I’m crazy here). Very different neat. I have yet to try it oyu-wari.